The name Alaska is derived from the Aleut word Alyeska, which means "great land". The Inuit and other Native Americans first populated Alaska. They included the Eskimos in the north and groups such as the Tlingit along the coastal panhandle, the Haidas on the Prince of Wales Island, and the Aleuts along the Aleutian Islands. Along the Bering Strait, the coasts of Alaska and Siberian Russia come within 2.5 miles of each other. During the 18th century, Russian fur traders from Siberia were attracted by sea otter pelts, and they founded small Russian settlements along the Alaska coastline. After 1775, Spain sent a couple of expeditions which attempted to claim sovereignty over parts of Alaska. Britain settled a few trading outposts in Alaska during the last 25 years of the 18th century as well. In 1824, Russia decided to grant trade rights for all the fur traders in the area. Then, when the sea otter was near extinction and Russia was weakened politically by the Crimean War, Russia proposed selling Alaska to the United States. The United States purchased Alaska from Russia in 1867. This purchase, known as Seward's Folly or Seward's Icebox, is commemorated in Sitka, Alaska every October 18 as Alaska Day. The purchase of Alaska was generally unpopular until gold was discovered in Canada's Yukon Territory during 1896. The first map of the whole Yukon River had been made in 1865, and Alaska provided the easiest transportation route to the Yukon. 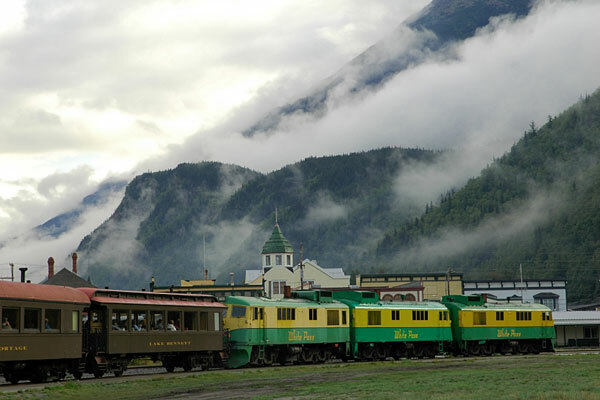 Towns and inland routes were developed, including the White Pass & Yukon Route railroad, which offered access to the Yukon from the coastal town of Skagway. 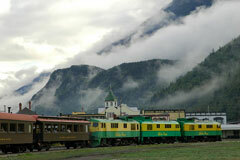 Then gold was discovered in Alaska, and construction of The Alaska Railroad was begun in 1903. A boundary dispute between the United States and Canada was settled in 1903 and mapping of the boundary was finished in 1913. Construction of the Alaska-Canada Military Highway (Alcan Highway) was prompted by Japan's 1941 attack on Pearl Harbor, and was completed during an eight month period in 1942. 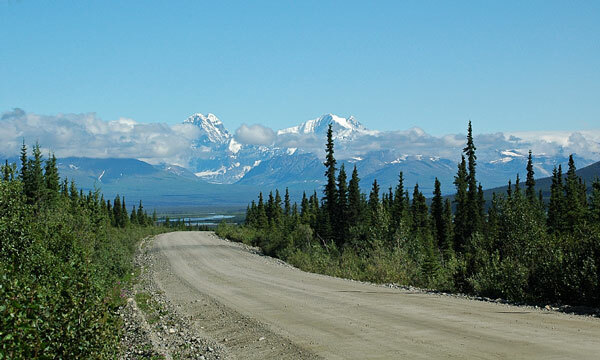 This road was the first link between Alaska and the contiguous 48 states. 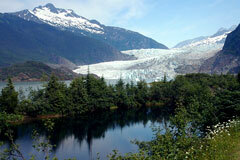 Alaska became the 49th state in the USA on January 3, 1959. Juneau, the territorial capital, was made the capital of the new state. After the 1968 oil discovery at Prudhoe Bay, the Trans Alaska Pipeline and an adjoining roadway were completed.